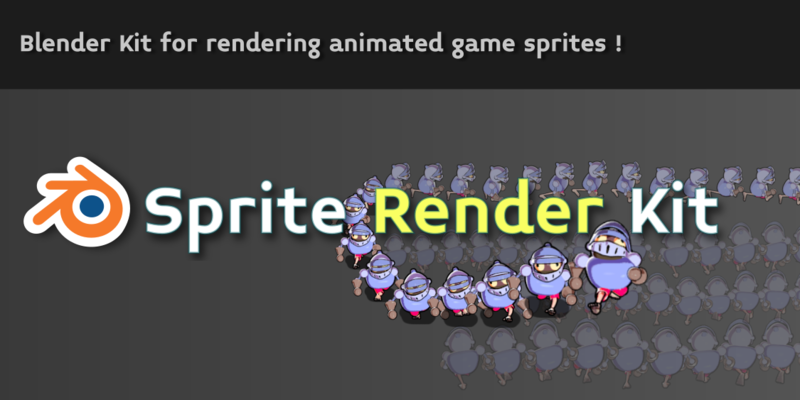 Sprite Render Kit is a sprite rendering system for Blender 2.78 - specifically designed for rendering animated and static sprites for 2d games.Its benefits become most obvious when you need to create a sprite with 4 or 8 directions of animation. 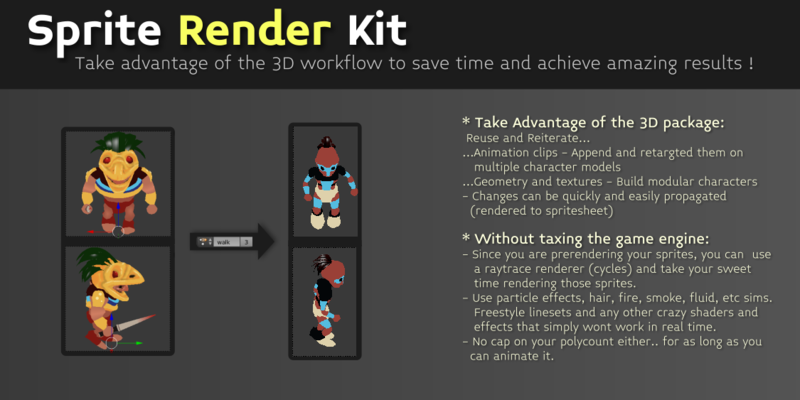 It's main goal is to save you time! 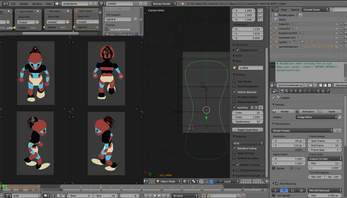 In one click you render an animated character from 4 different angles and the files are properly named! 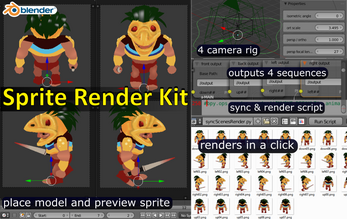 - A Scene Setup - Created to allow Blender to render an animated model from 4 different angles simultaneously. 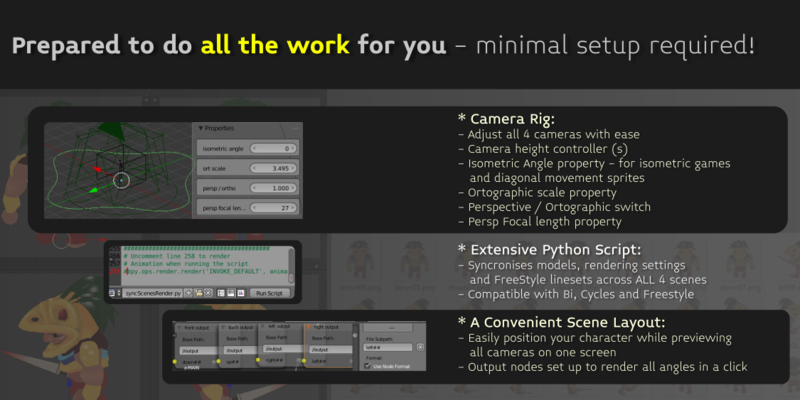 - It is made out of one main scene (where you set your settings) and 3 more scenes for the remaining camera angles! 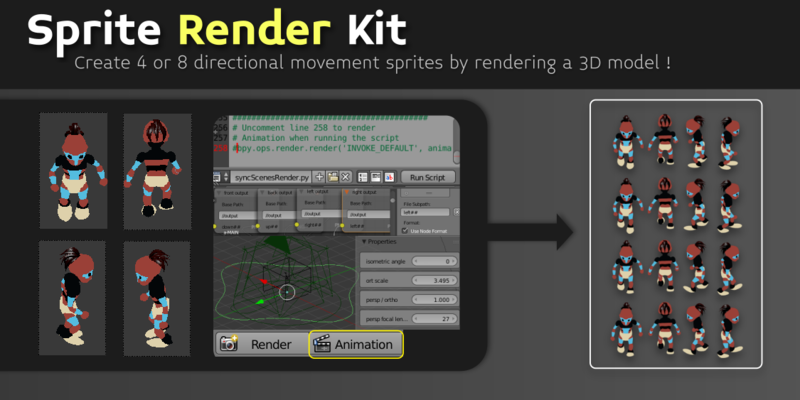 - The work Layout is created in a way that allows the user to conveniently view the model from all the 4 target rendering angles on one screen.